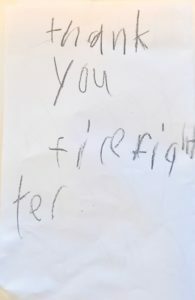 ThankAFirefighter.Org. 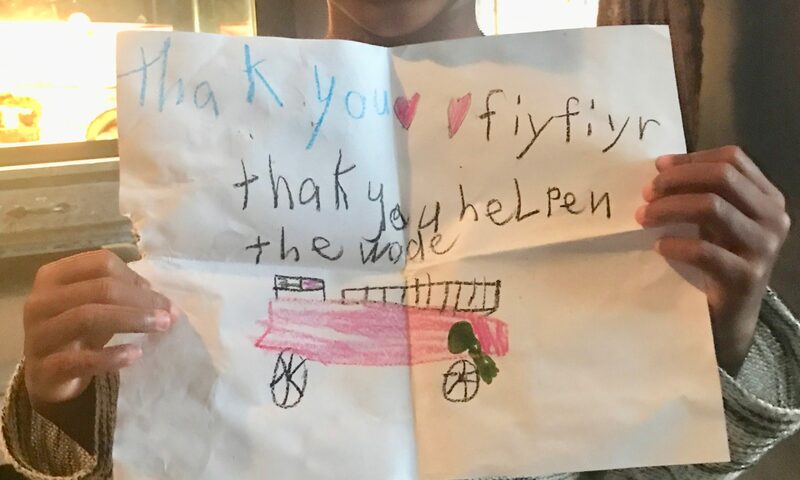 Together we are creating awareness about the importance to teach our youth to give thanks and recognizing firefighters through our Initiative, ThankAFirefighter! 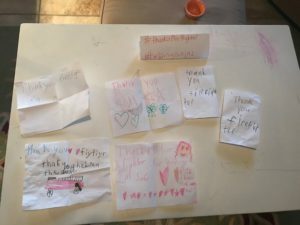 Helping Ninjas are on a mission to thank firefighters and inspire others to join our initiative! 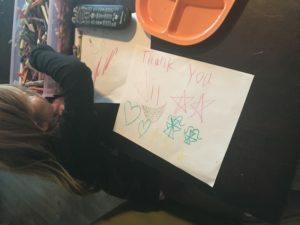 Helping Ninjas Thank A Firefighter Initiative. 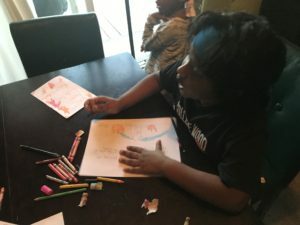 An initiative to bring awareness to the service, dedication and bravery firefighters portray across the globe, and to educate our youth the importance to to give thanks to firefighters and opportunities to do so. 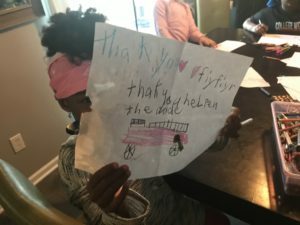 Want to help us thank a firefighter? Helping Ninjas will repost and will share photos and efforts to thank a firefighter on Twitter, Instagram & FB and showcase at the initiative’s website ThankAFireFighter.org. Our vision to is to encourage thank you acts showing gratitude to appreciate and celebrate firefighters. 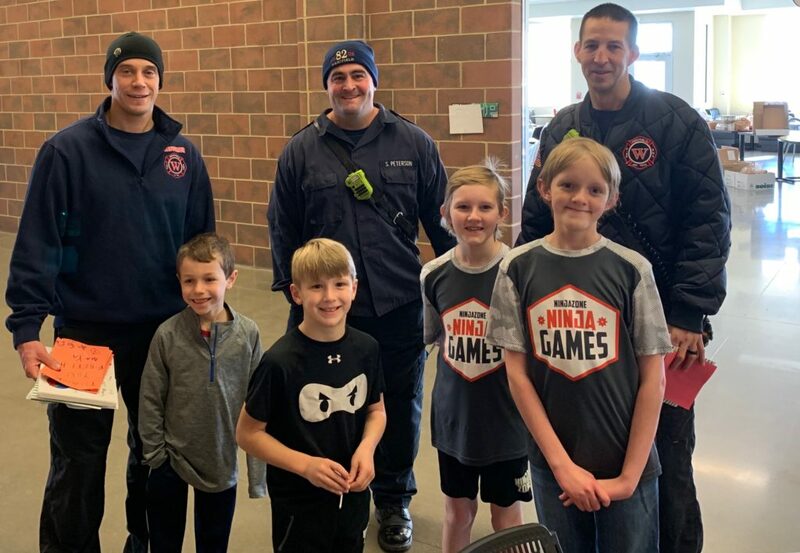 Helping Ninjas ThankAFirefighter is an initiative to recognize a firefighter’s all emcombassing role of duty, community necessity, and the daily self-less acts of heroic citizenship they give to our communities. 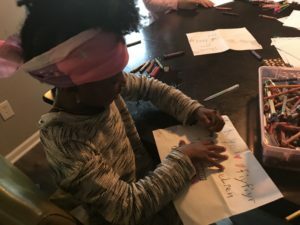 Helping Ninjas is encouraging youth (and adults) to write letters! 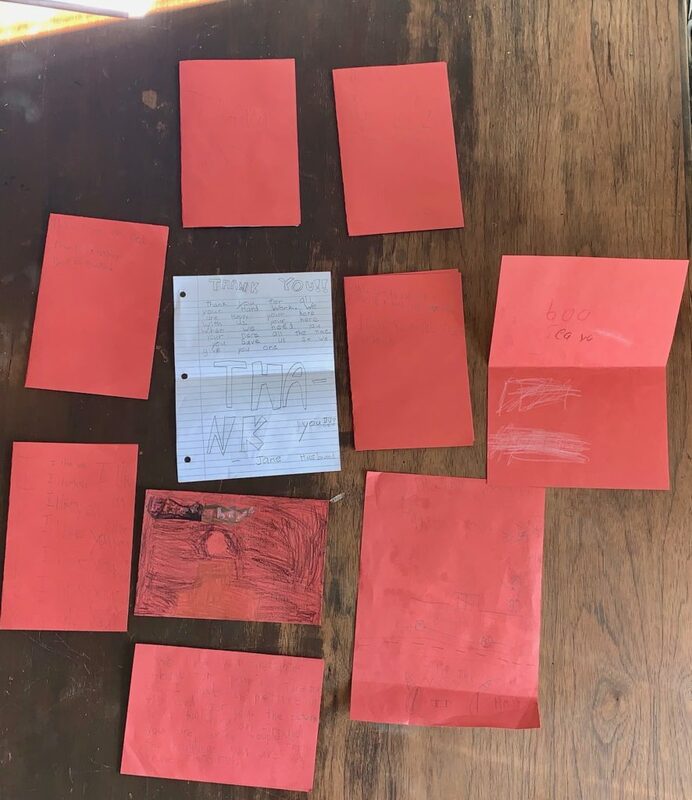 Heping Ninjas will be collecting and delivering thank you letters to local firefighters and mailing them to fire stations in California who are braving the largest fire fighter in state history. 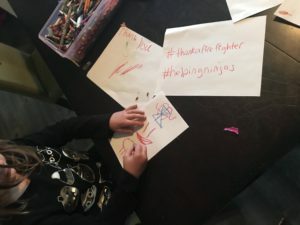 First ever #Floss4Firefighers and #FirefighterFloss Challenge Kick Off! 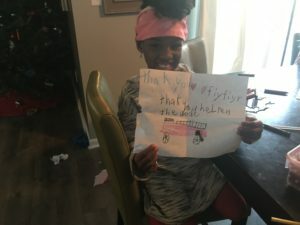 Helping Ninjas wants to have more thankafirefighter events! 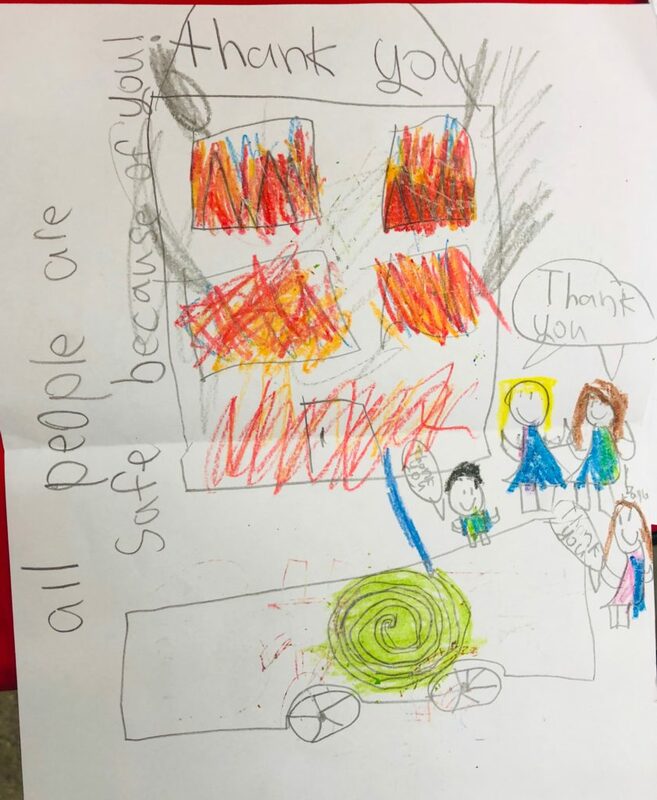 Help us to give the opportunity for our youth to celebrate community and firefighters and have a postiive example and outlet to express gratitude for those who serve! Contact us to set up an event to thank firefighters! Donate a treat of thankfullness to those who serve! 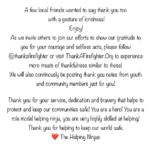 Helping Ninjas invites all members of the community to donate small gifts to local firefighters, we will share wtih the gifts via thankafirefighter.org and/or locally, will be donating small gifts, coupons, passes, etc..Contact us if you would like to participate. We will add you to our list of organizations as helping partner and supporter of the Thank A Firefighter Organization! 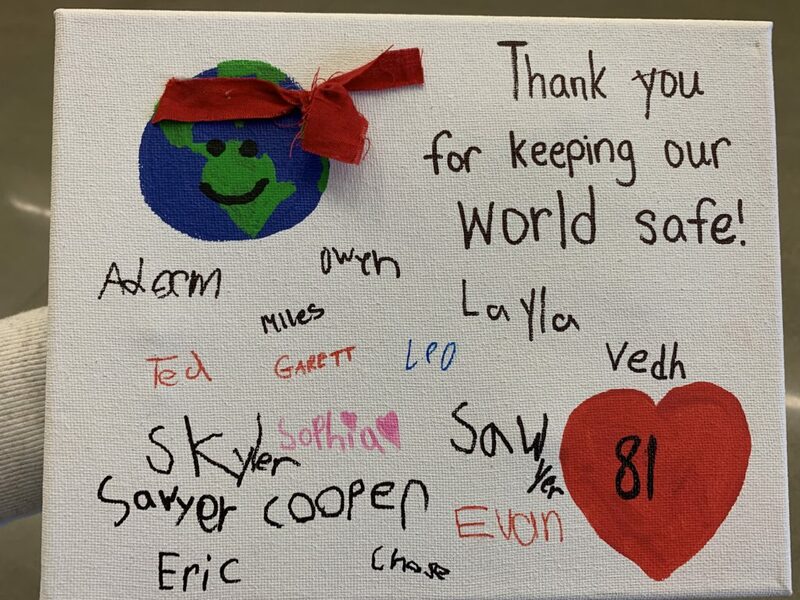 Help us thank firefighters and lead our community and educate our youth the importance of celebrating firefighters! 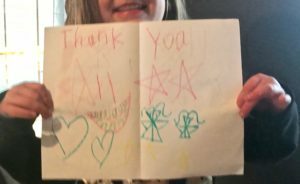 Want to thank a firefigher? How Can you support us? Follow us @thankafirefighter on Instagram, Facebook and Twitter. How can you join our initiative? 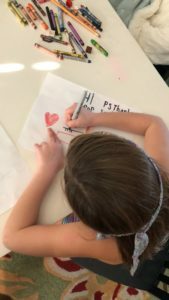 Make a card, get together with friends and make more cards! Post and share. Or, for more info where to send your card to thank a firefighter and to find a local firestation, email us and we will help you! 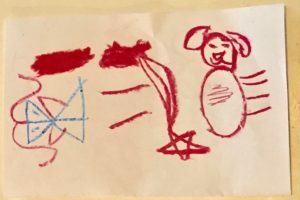 Email us! 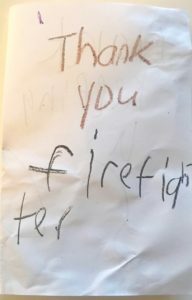 Helping Ninjas is currently seeking donations for #THANKAFIREFIGHTER gift bags in which we will give to firefighters as an act of gratitude for their service. If you would like to help our efforts, please email us. We will share and repost it! You can also email us photos of the picture or you can mail us the card and we will assist with photos, upload, sharing and delivery! 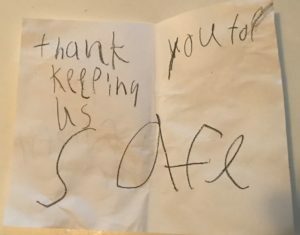 Start collecting thank you cards for firefighrers at home, school, or at a local business or organization. Teachers, Classrooms, Schools click here. Businesses and Restaurants and Organizations click here. 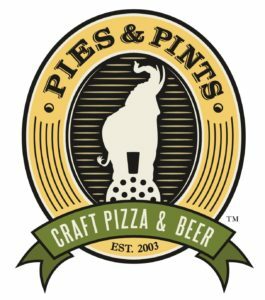 Businesses & Restaurants that are supporting and showinig thanks for firefighters! 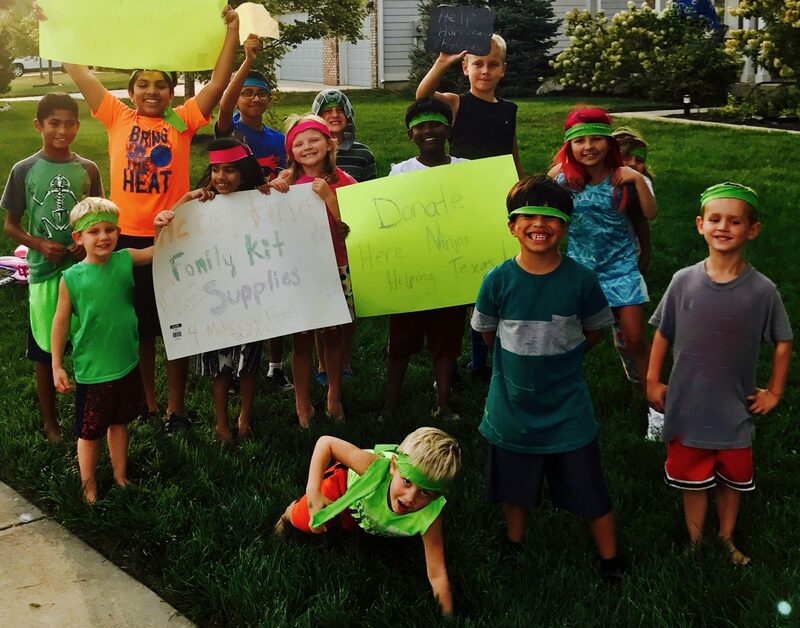 NinjaZone is an official partner of Helping Ninjas Thank A Firefighter Initiative Ninja Games! Did You Know? That hot yoga can help firefighters specifically? 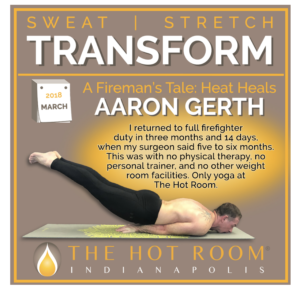 One firefighter from Indiananpolis tale of his transformation from practicing hot yoga at the Hot Room – where he practiced Bikram yoga, a series of 26 postures in a room balanced with humidity and 106 degreees. Hear his inspiring story of how hot yoga helped him to transform. 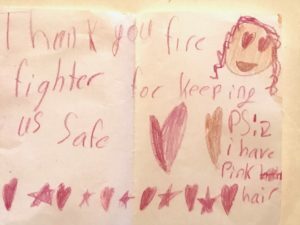 Want to thank a firefigher in California? Help us thank those brave firefighters who are courageously fighting wildfires in California. Click here for a list of firestations in California. 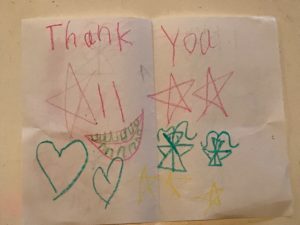 Who Is Inspring Us to Thank A Firefighter? 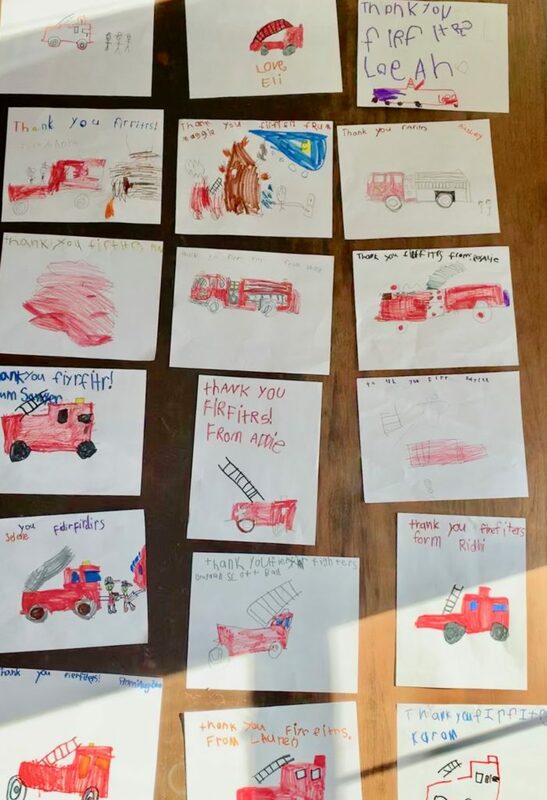 Here is an example of how a celebrtiy song artist is showing his gratitude for firefighters in wake of the wildfires in California. Learn more about the California Wildfires and how you can help. Statistics show that 39% of Americans have approximately $1,000 in emergency savings, damage from a wildfire could devastate finances. Read tips how to learn to be prepared in the state of a diaster. 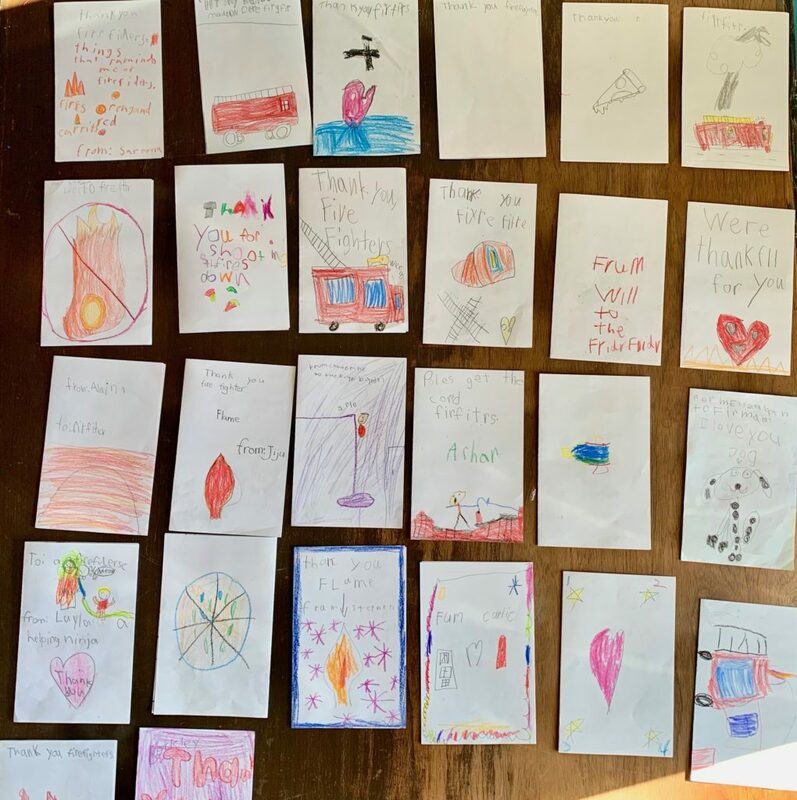 Thank you to Hamilton County Cool Creek Nature Center for hosting a collection box for thank you cards to firefighters! 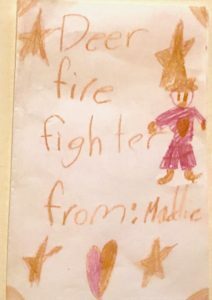 Cick here to view the page to see the firefighters gifts from our supporters! Simply show this helping ninja emoji and recieve your gift at the following locations! 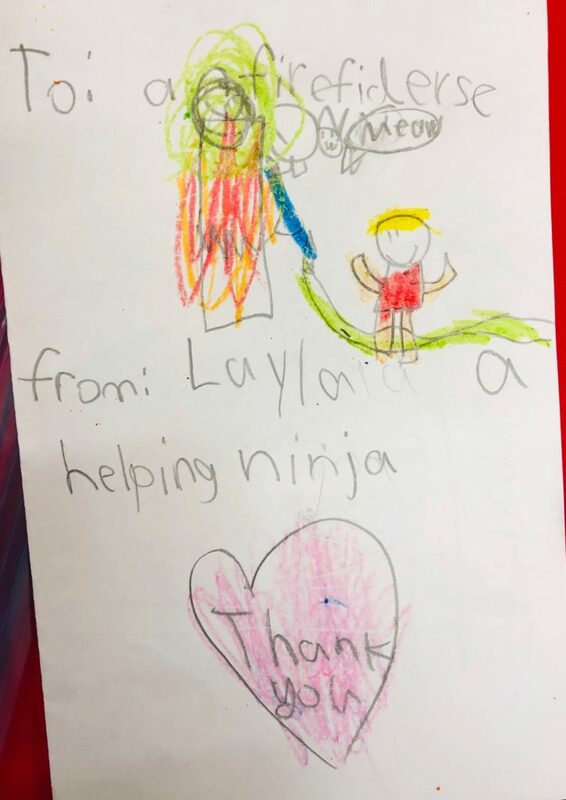 Layla, A Helping Ninja, invited her classmates in Mrs. Robinsons first grade class at College Wood Elementary to help her thank firefighters! Thank you Mrs. Robinson and students!